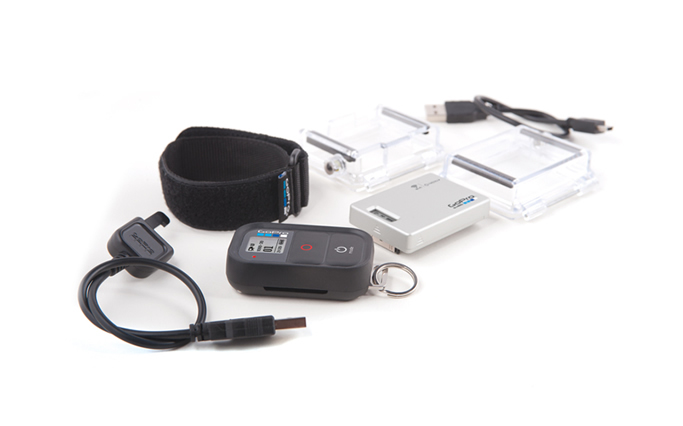 Updated 10/2014: The work around shown below is not needed now if you have a Garmin that supports bluetooth upload to Garmin Connect. 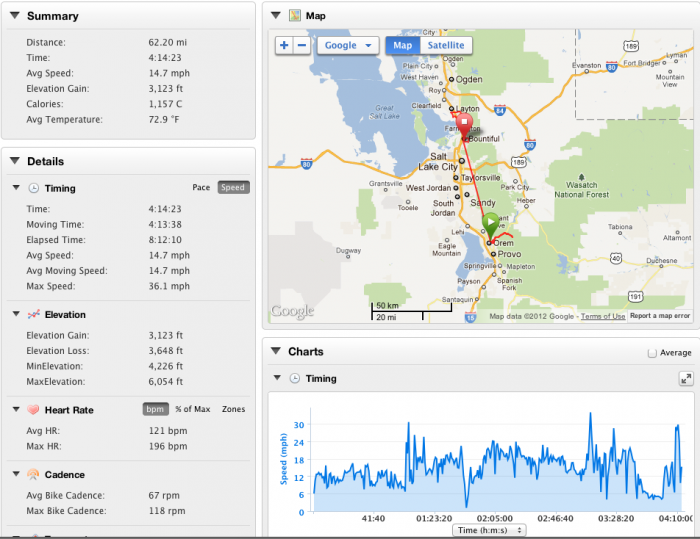 Just configure your Strava account to automatically upload your activities from Garmin Connect. This new addition to Strava is a big time saver. One of the many near features of the new Garmin Edge 810 or 510 is the ability to upload your ride via an iPhone or Android phone to Garmin Connect. 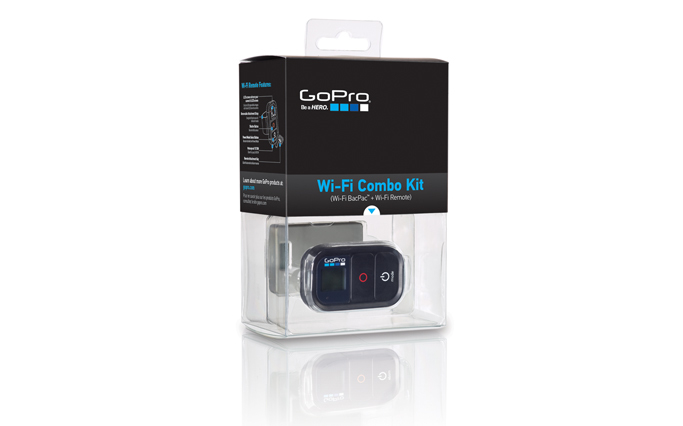 This particularly useful when doing a ride away from home, such as a multi day tour, without a computer. However there is currently no support from Strava for such uploads. Here is a work around. 1. You need some method to save a file to your smartphone. For the iPhone I installed the program “File App”. 2. After your ride is uploaded open Garmin Connect and select the ride. 3. 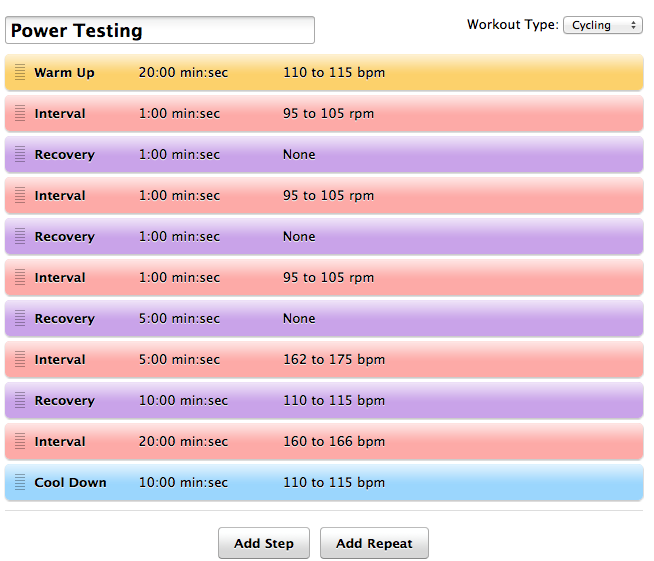 Select to export the ride as a TCX file (GPX will also work but won’t include heart rate data). 4. 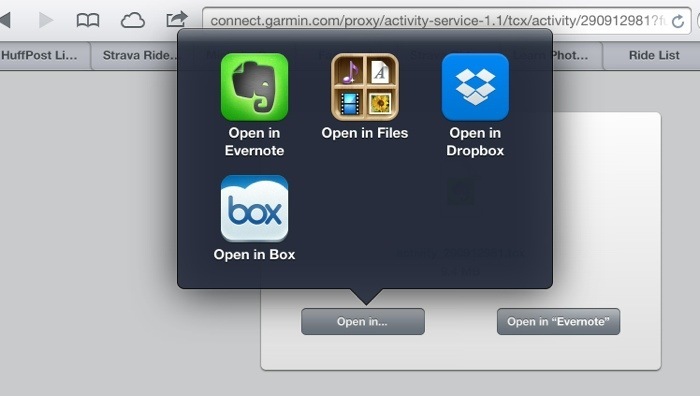 Select to open the TCX file in the File application (or which app you use). 5. 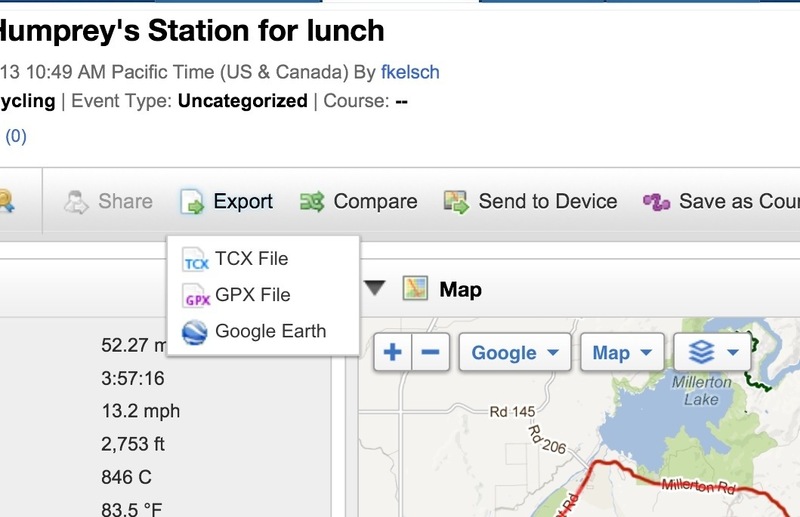 Using the Files application, email the TCX file, as an attachment, to upload@strava.com. Strava will match up your email address to your account and post your ride. All done! For the last two days I have been using a Power Tap wheel that I have on loan from a local bike shop. I am finding using this wheel, even though it is heavier than my other rear wheel, is helping me to climb faster. Without the power meter I only could rely on heart rate and perceived effort. 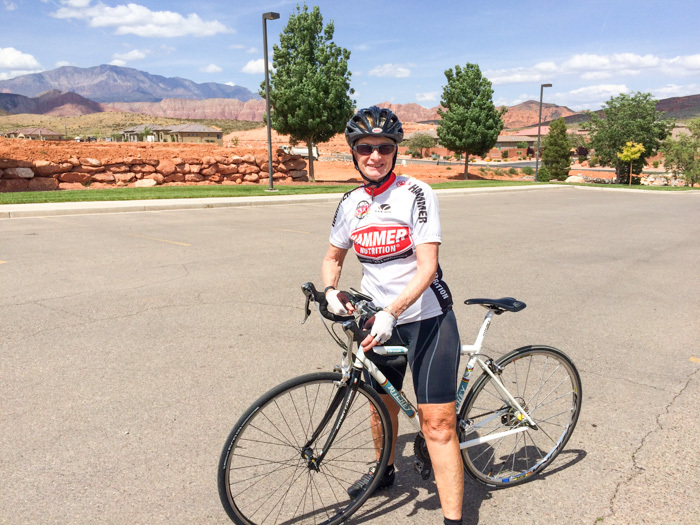 On both the climb yesterday and the climb today up Squaw Peak, I could see that when I started the climb in my usual fashion, my heart rate was not yet high, but my power output was much higher than I was able to sustain. Later in the climb my heart rate would stay high, but the power would keep declining. When I stood up the power would increase. When I went to an easy gear the power would also go up. Today I set a new PR up Squaw Peak. 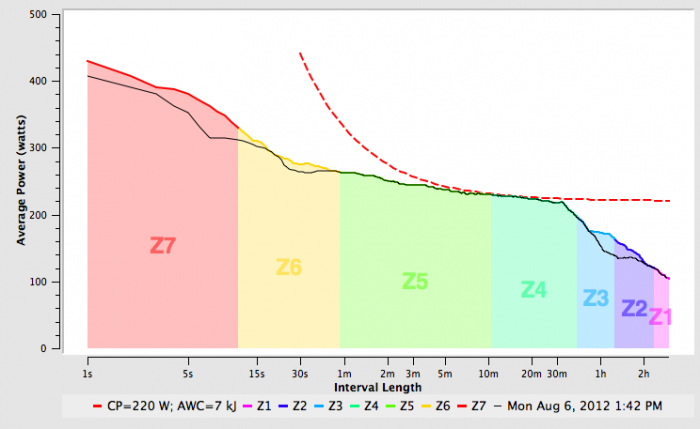 Strava will estimate power expended on a climb if you don’t have a power meter, but that is all after the fact and not of much use while you are actually make the climb. 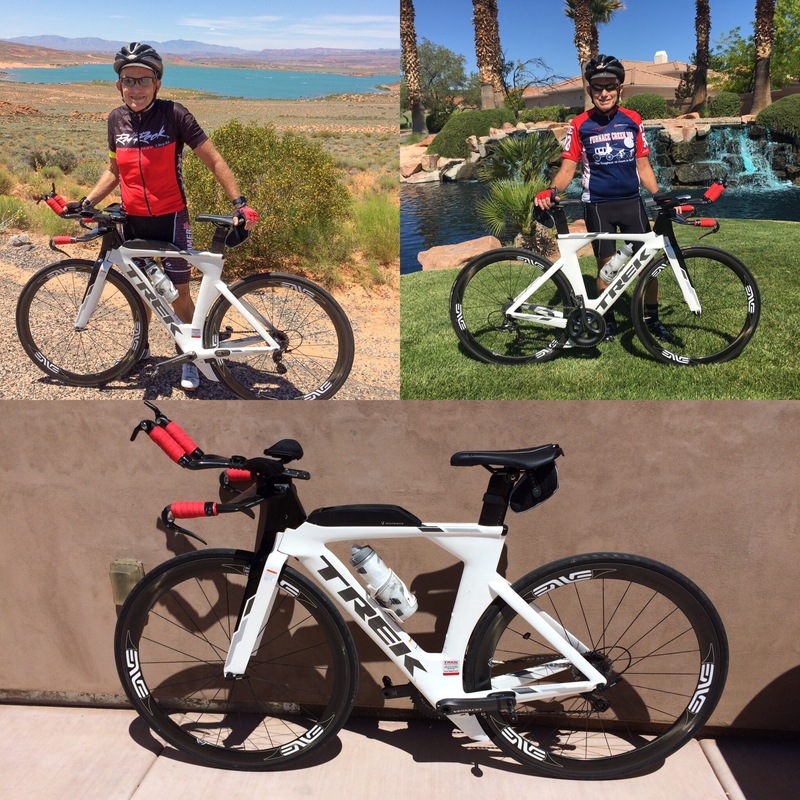 I have climbed Squaw Peak 57 times since I started to use Strava, here are my top 5 times. For today’s ride, the lightning bolt by the Power number means it is from a power meter while the others are Strava estimates. 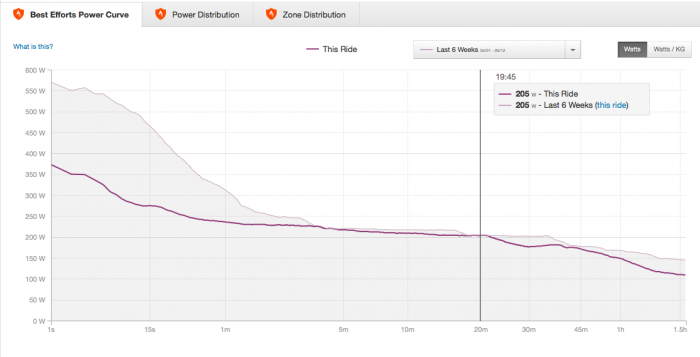 Strava has limited analytical tools so I imported the two rides into a free program called Golden Cheetah. 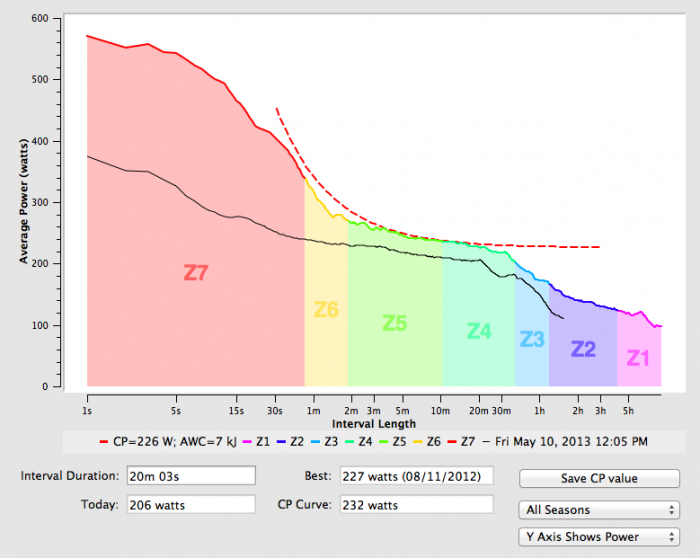 I am not sure sure how to use all the features, but it has some interesting graphs, such as this one on Critical Power. 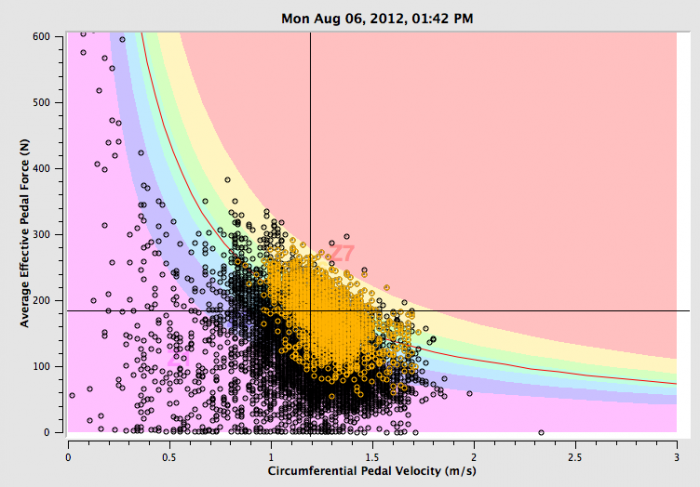 And this graph of pedal force with the yellow area for the climb up Squaw Peak.